Below we have attempted to briefly explain the tools and their use plus some other terminology used in the process of hand tapping of threads. Blind Hole A hole drilled into a material from one side without penetrating the opposite side. 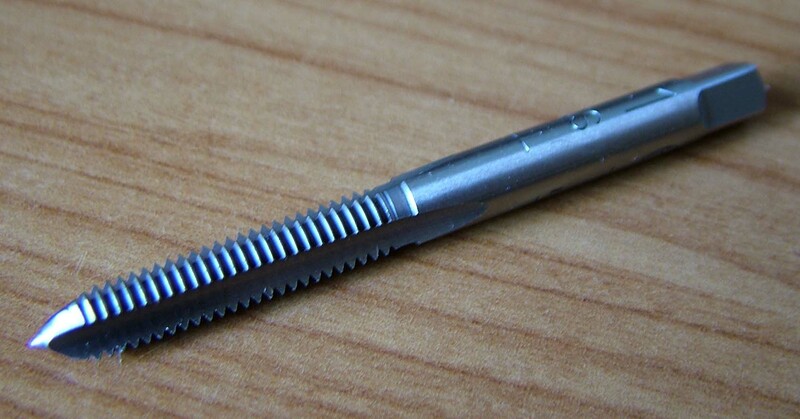 This is the initial tap used to start the tapping process for a female thread. They have a long lead in of 7 to 10 threads. Also often referred to as '1st Tap'. For softer materials it is often possible to go straight to a second tap. Used where the thread is required to extend near to the bottom of a blind hole. Often termed a 'plug' tap in the UK. Note that the tips of the smaller sized bottom taps are pointed. 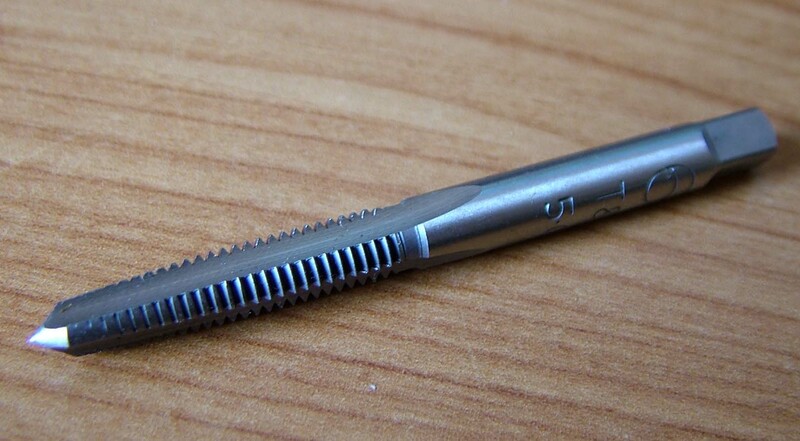 Larger taps for thread sizes of M8 & 5/16" and larger have a flat end. Split Dies Dies are used to cut male threads - i.e. as on a screw. 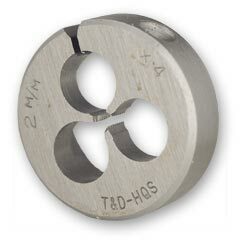 The most common form are split dies which enable some adjustment of the diameter for increased accuracy and to compensate when the die eventually wears. 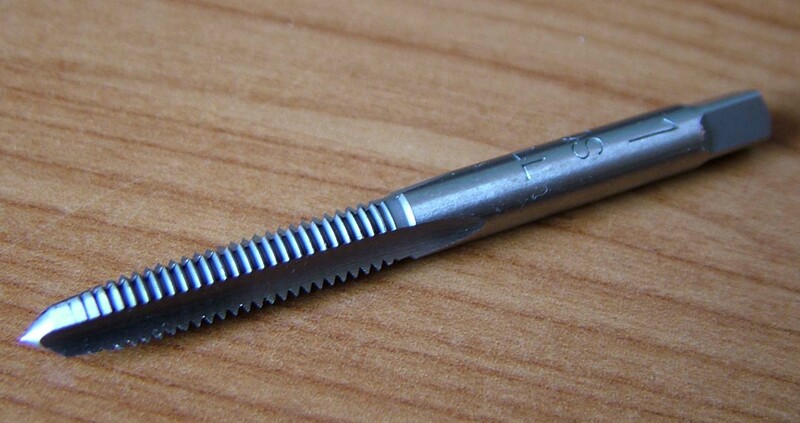 A tool for holding the tap during the hand tapping process. 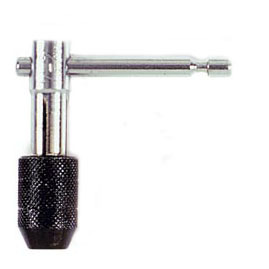 We offer the option of a 'Tee Handle' style (left) ideal for the smaller sizes, and the traditional adjustable tap wrench type (below). A tool for holding the tap during the hand tapping process. The more traditional style with a larger range capacity of tap sizes. Gives better control of the larger sizes.